Ah, Budapest. The place many of us have heard about through George Ezra’s catchy tune, but in all actuality know very little about. Have no fear, I’m here to drop some knowledge on you. 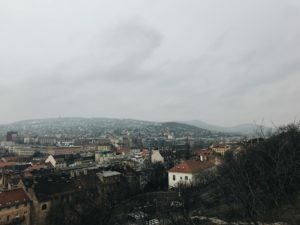 I’m not going to claim to be some expert travel guide or the next Rick Steves, but I can let you in on how exactly I spent 48 hours in Budapest and how you too can get the most out of your time in this incredible city. The vibe in Budapest is unlike anything I’ve ever experienced. There’s history woven into every aspect of this city. It’s the perfect harmony of old and new, and trendy and classic. I will warn you that it’s quite urban and grungy, but if you embrace it, it will embrace you. 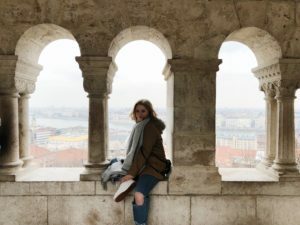 If you’re planning to study abroad or are already in the process of it, your list of places to visit is bound to be pretty long. But, Budapest should be near the top. I was sold on my first step off the tram (established over 100 years ago, SO COOL). There are plenty of ways to get to Budapest; however, if you’re close enough, I recommend taking a bus. If you’re staying in the Czech Republic or one of its surrounding countries, I would most definitely try to book through Regiojet. This company offers in-seat entertainment, Wi-Fi, free hot drinks and outlets to charge up all of your electrical devices all at an extremely reasonable price. Before you leave for Budapest, be sure to figure out your transportation from the bus station, train station or airport to wherever you are staying. The public transportation is easy to figure out if you do a bit of research prior to your trip, but many of the signs and posters are limited to the Hungarian language, which can make your first hour in Budapest less than desirable (speaking from experience). My friend Izzy and I stayed in the Wombat’s Hostel for two nights in Budapest, and I can’t rave about it enough. The total price for our stay was $24 with lockers, linens and a free drink at the downstairs bar. If you like to eat, be sure to take advantage of the $6 all-you-can-eat-breakfast each morning. The facilities were clean, the staff was helpful and the location was perfect. I believe that you should always eat at least one traditional meal unique to the culture whenever you are traveling. That being said, I was on a hunt for some Hungarian goylás while in Budapest. While I usually prefer hole-in-the-wall restaurants for traditional food, we came across this neat bistro in Gozsdu Court and just couldn’t pass it up. Upon arrival, we were given a free shot and were lead to our table complete with distressed wood benches and blankets. The atmosphere was good, and the goylás was even better. If goylás isn’t your cup of tea, check out some other local dishes like chicken paprikash and the crowd favorite, lángos. Although I love local cuisine, I can’t deny that sometimes after a long day of traveling in a foreign place, it’s nice to just eat something familiar. That was exactly how I felt when we came upon Deep Burger just a block away from our hostel. Honestly, there wasn’t anything special about these burgers, but they were warm, comforting and tasty. It was like getting a hug from an old friend (minus the tasty part, ew). Over on the Buda side of the Danube sits Buda Castle. Towering over the Danube, this place is impossible to miss. Climb up the hill that it’s located on for spectacular views of the city and its surrounding areas. Be sure to walk around the entire complex, as there are views that highlight more of the local lifestyle of the city on the west side of the castle. If you have time, check out the National Gallery for some crazy cool art collections. If you’re looking for the perfect Instagram shot, look no further than the Fisherman’s Bastion. Within walking distance from the Buda Castle, this incredible neo-Gothic and neo-Romanesque structure features breathtaking views of the Parliament Building and the rest of Pest. In the center of the Bastion is the Gothic Matthias Church. The church has tours for a small fee, but unless you’re really into old churches, I recommend foregoing this option and exploring the area around the Bastion on your own instead. This memorial is a moving tribute to the numerous Jews who were killed on the banks of the Danube by Arrow Cross Militiamen during World War II. During 1944 and 1945, these horrible executions in which members of the Jewish community were rounded up, forced to remove their clothes, and then shot at close range on the banks, were common. It’s a humbling and heart-wrenching experience you can’t miss. 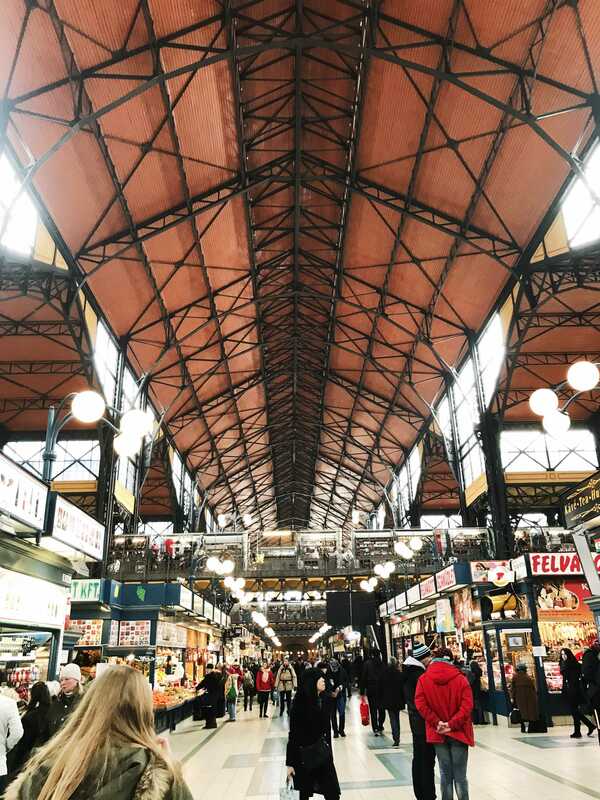 Almost everything in Budapest is priced by the Hungarian national currency, the forint. I’m not going to lie; this currency can be terribly confusing if you aren’t used to working with similar currencies like the Czech Koruna. For example, $1 is worth 253 forints. So, although it may seem like you are paying extraordinarily high totals in forints, their USD equivalent is much, much less. I recommend pulling out a small amount of cash from an ATM that is connected to a bank and making the rest of your purchases on a credit or debit card. It’s hard picking and choosing what to do when you have such a limited amount of time to do it. If I could go back again, I would definitely visit one of the beautiful thermal baths that Budapest is known for and one of the many ruin bars. Unfortunately, we just didn’t have the time to spare. Overall, Budapest is definitely one of those cities you can’t miss during your time abroad. After 48 hours here, you’ll definitely know why George Ezra bought that house in Budapest.